This year, we spent Christmas in POG and it was certainly much different than any other Christmas I've experienced. Normally we're in cold Canada, sipping caesars, playing games, opening stockings, watching movies and eating A LOT with our family. 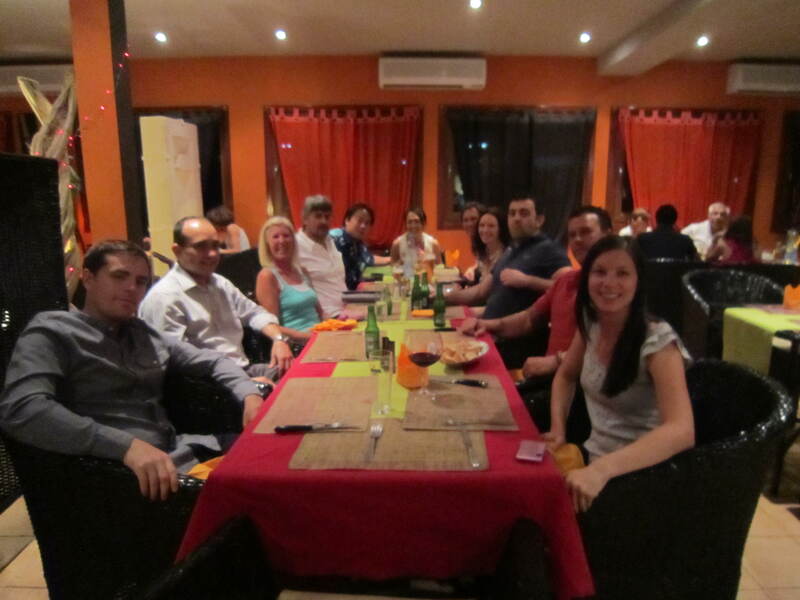 We started the Christmas weekend off with a dinner out with friends December 23. Christmas Eve was spent at a friends house. Each of us brought a dish and drinks and we chatted, ate and laughed the night away. When I looked around the table it was evident just how multicultural our lives have become - Joe and I represented Canada, our hosts were Japanese and we also had Indian, Indonesian and British couples. Christmas day, Joe and I woke up and watched "A Christmas Story" downloaded ahead of time, ate cinnamon buns made by me, and relaxed. 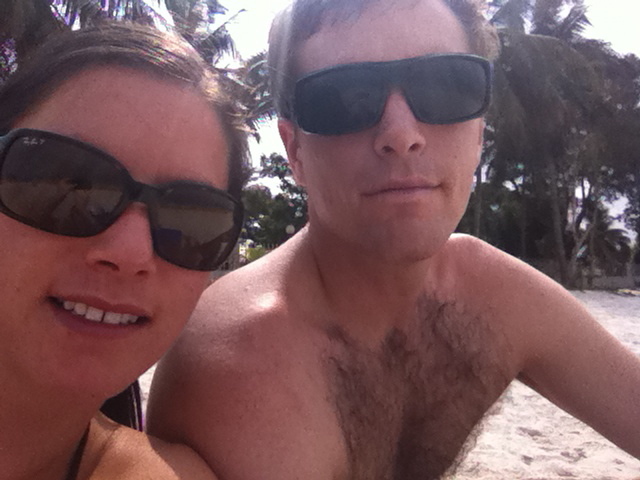 Later on we spent a few hours on the beach before returning home to make Pad Thai. Certainly not very Christmassy but fine nonetheless. 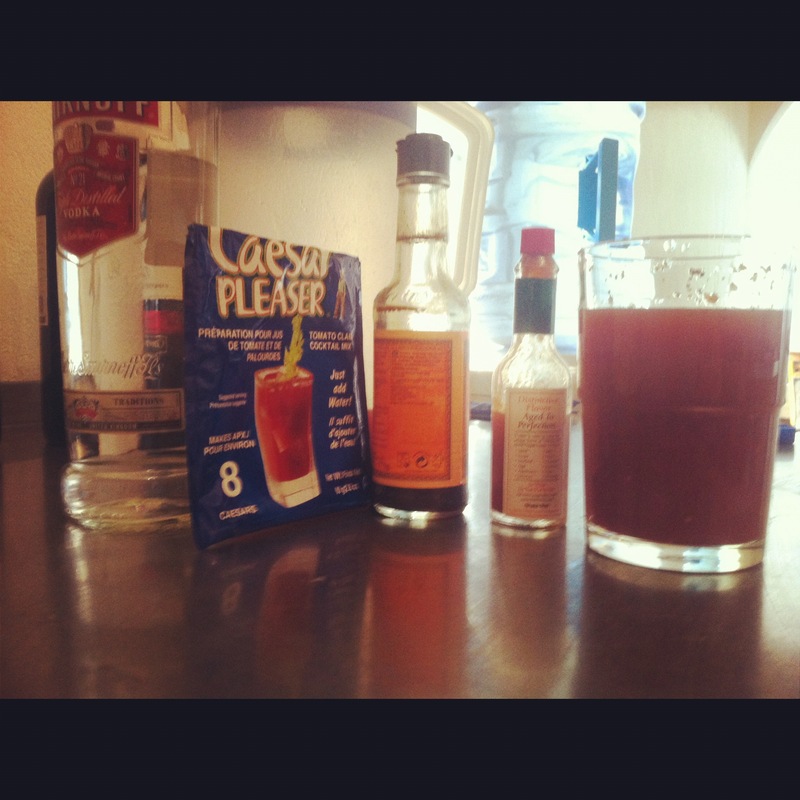 I'd been saving that "Caesar Pleaser" packet since August when a fellow Canadian gave it to me to try. Not near as good as the 'real' thing but did fine in a jam.